It’s been a while since my list update when my Crowdfunder campaign went live. I’ve been a busy wee bee since then, so here’s a wee update on what’s been going in my world. Here’s my June news! Just a few weeks ago, I wrote a new song called “Busy Little Worker”. This song literally buzzed into existence while I was getting a new kitchen. It’s probably the quickest I’ve ever written a song. It’s all about bees. Bees and wasps used to terrify me when I was wee. It’s only in recent years I’ve been more aware of just how important they are to our existence. This awareness only intensified since taking an interest in gardening. Now I try to encourage more bees to visit my garden. “Busy Little Worker” is an upbeat song with a bit of a buzz about it. So much so that last week it won the audience vote at Edinburgh Folk Club songwriting competition! I am thrilled one of my songs won a prize. You can see some photos from the event here. You can listen to “Busy Little Worker” on YouTube. My Crowdfunder campaign ended on a few weeks ago and the target was exceed! Thank you everyone who made a pledge. Without you, “Down The Railway Line” would not be mastered and CDs would not be produced. All 11 songs have been recorded and mixed and are now in the hands of Hillfoots Mastering. I’ve had a few listens across various devices and I must say “Down The Railway Line” is sounding braw! There’s a good dollop of emotion and feeling in there, and some lively songs and catchy lines sure to have you singing along. “Down The Railway Line” will be released on CD and most major digital providers on 1st August 2018. 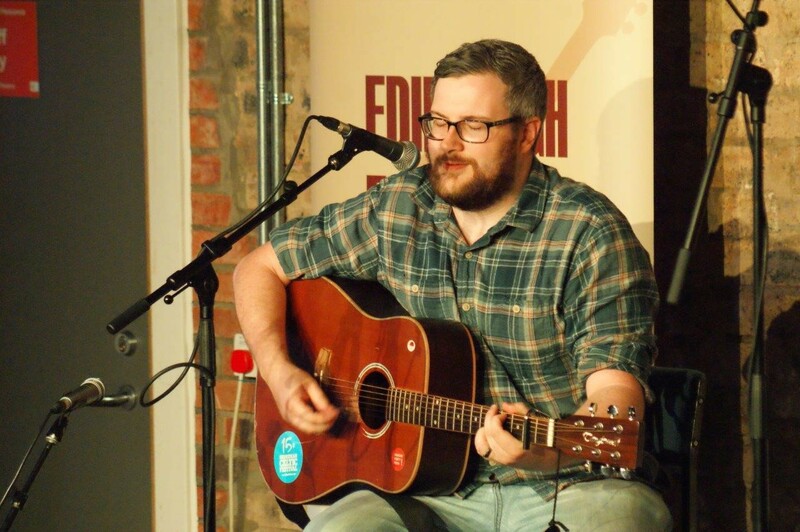 A little over a week ago I made a trip to Glasgow to have a bit of a blether and play some of my new songs on Katee Kross’ show “Here & Now” on Broadcasting Scotland. It was a lot of fun. It was also great to chat about music and songwriting my new album. The show should be available to watch online within the next few weeks. It’s worth watching especially for my panic during the quick fire questions as well as for listening to 3 new songs!